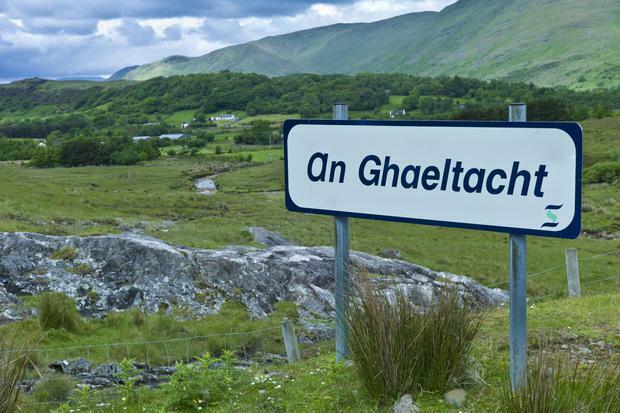 The approval of the first three language plans for the Gaeltacht has been hailed as a "significant step forward" by Minister of State for Gaeilge, Gaeltacht and the Islands, Joe McHugh. The language plans for Gaoth Dobhair, Anagaire, Rann na Feirste and Loch an Iúir as well as: Cloich Cheann Fhaola, Gort an Choirce, An Fál Carrach and Machaire Rabhartaigh, in Co Donegal and Cois Fharraige in the Galway Gaeltacht were approved by the Department of the Culture, Heritage and the Gaeltacht. The plans are based on proposals by the communities affected regarding issues they are worried about in relation to the Irish language and their community. It's hoped the plans will help these areas to grow their economy while promoting the Irish language. The Department of the Gaeltacht announced in April they will provide up to €100,000 for the first 12 months of the introduction of the plan. He said: "This is another significant step forward in the language planning process, a process which began in 2014. "This step will allow the Lead Organisations, their Language Planning Steering Committees and the communities to implement the language plans which will run for a period of seven years. "This will be a decisive period in which to build on the excellent foundations which have been laid in the three areas and which are being undertaken in 20 other language planning areas at present." Údarás na Gaeltachta’s CEO, Mícheál Ó hÉanaigh, said: “The Lead Organisations, their Language Planning Steering Committees and their communities are deserving of high praise for their diligence and efforts regarding the challenging work involved in preparing a language plan. "Údarás na Gaeltachta will work with these Lead Organisations and Language Planning Steering Committees to implement these plans. Anne-Marie Walsh Secondary school teachers who claim they are "spun out" due to extra supervision duties are set to seek a pay hike for their work. Katherine Donnelly A second-level teachers union leader said the junior cycle reforms must be properly evaluated before any changes are made to the Leaving Cert.